Ten Syrian refugees, all members of the same family, arrived on Wednesday at Rome's Fiumicino airport through a new humanitarian corridor from Lebanon. They will request asylum in Italy. 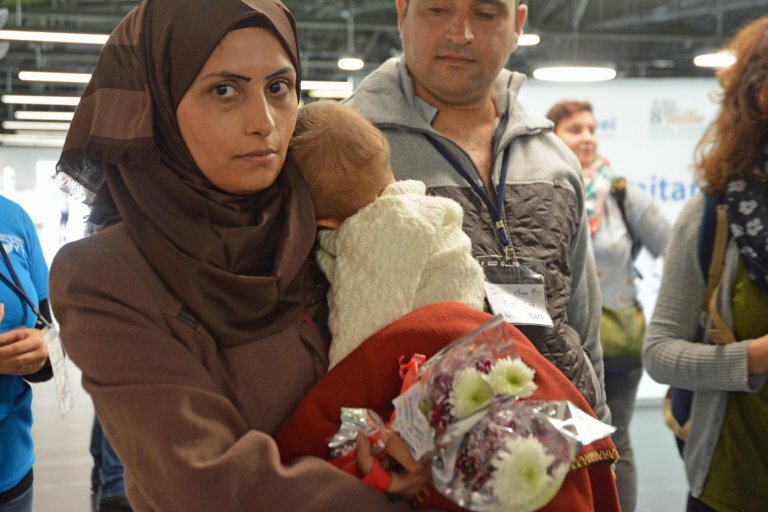 Ten Syrian refugees arrived on Wednesday morning at Rome's Fiumicino airport through a humanitarian corridor sponsored and managed by the Federation of Protestant Churches in Italy (FCEI), the Community of Sant'Egidio, and the Waldensian round table, in accord with the Italian foreign and interior ministries. The refugees, among whom there are five minors, came with a commercial flight from Beirut. Following entry procedures, they will be hosted in Turin at the Waldensian Deaconite, with one being hosted by the Community of Sant'Egidio. The refugees are all part of the same family and came from the Tel Abbas refugee camp in Lebanon. They were identified as a vulnerable case by the "Operation Dove" association, which works in the field. The refugees will apply for asylum in Italy. The next humanitarian corridor is planned for the end of the month, with the arrival of other families from Lebanese refugee camps. Since February 2016, humanitarian corridors have brought more than 1,500 people to Italy and 2,200 to Europe. "Humanitarian corridors are an efficient and concrete way to save the lives of these people, and are a model for reception that has spread across Europe," said Paolo Naso, coordinator of Mediterranean Hope, the FCEI's refugee and migrant programme." To prevent tragedies in the Mediterranean and the dramatic emergency situations we are witnessing every day, there need to be safe passages that ensure respect for human rights and dignity. This is why we are asking the Italian government to widen this practice, guaranteeing humanitarian visas at a higher rate to people in conditions of serious vulnerability."